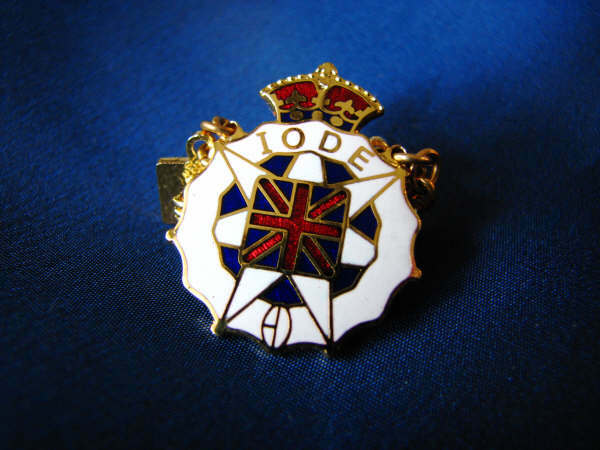 A National organization, IODE was founded in Canada in 1900 through the efforts of Mrs. Margaret Polson Murray of Montreal, with the first chapter being formed in Fredericton, NB. The organization was a society for Canadian women based on “Patriotism, Loyalty and Service”. Today more than 250 chapters with nearly 5000 members across Canada continue to uphold the ideals of IODE as set down by Mrs. Murray. The Provincial Chapter of Nova Scotia was formed in October 1920. By this time there were already 6 Provincial Chapters in Canada and 20 primary chapters in Nova Scotia. Today there are chapters across Nova Scotia from Cape Breton to Yarmouth. Services, Education and Citizenship have been a major focus from the beginning. During and after both wars our service men and their families were given assistance and support. Following the Halifax Explosion in 1917, we established a fund to provide care and comfort for the homeless children and the injured. After WWII we welcomed war brides, wives, children and immigrants arriving at Pier 21, Port of Halifax. A plaque recognizing the contribution of IODE during the war was dedicated at Pier 21 in 2000, marking the 100th Anniversary of IODE in Canada. Our focus has changed since the pre and post war years, today our areas of service concentrates on supporting kidney research at the IWK Grace Hospital in Halifax, funding to furnish a Staff and Patient Education Centre at the IWK Grace Hospital, and the purchase of a state of the art hospital bed for the QEII Health Sciences Centre, to name a few. Education is also a primary focus with assistance to schools, adopted classes at home and in remote areas of Labrador. Thousands of dollars, in bursaries and scholarships, annually go to high school students across Nova Scotia. Through our Citizenship programs we welcome and support newcomers to Canada and are committed to supporting our communities, our veterans and our troops.